Do Something Cool with Your Summer! We thought we’d share one of our favourite brands with you to help you get ready for Summer this year. Since we opened in 2011 we have always waited with anticipation for the launch of Fatboy’s new range and we’ve chosen a few favourites to share with you. In the last 15 years Fatboy has developed considerably. The beanbag is without any doubt the ultimate hero, but, they do a lot more than just creating beanbags. The collection has expanded into a diverse range of iconic products and Fatboy is now available in over 60 countries. All products are designed with one goal: escaping the daily routine with a big smile. Most of their products are very versatile in that they can be used indoors and out, in Summer or Winter. A wide range of colourful bean bags, huge lamps, oversized sunshades, magical hammocks, super-relaxed dog beds and exuberant outdoor rugs come in many colours that can be chosen with your room or garden colour scheme in mind. They are often perceived as being quite quirky, a bit different, but hey why not, we’d be a bit boring if we were all the same! Fatboy is – as many people think – not named after the firm shape of the beanbag, but after the artist Fatboy Slim. That name was on a CD cover which its designer, Jukka Setälä, received in the late nineties and this gave him the inspiration for a brand name: Fatboy the Original. The world’s best-known beanbag. A lifestyle icon, practically indestructible and ultimately comfortable. Sit, lie, lounge. Headdemock Hammock Don't hammock alone, sharing is caring! 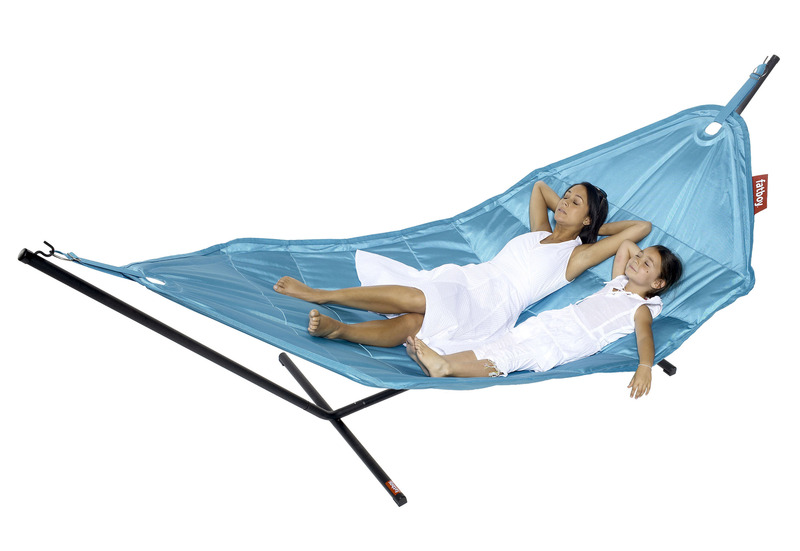 This oversized hammock takes up to 3 people, and what's more, you don't even need a tree to hang it in. Just Headdemock, lie back and relax. Wireless, strong and perfectly formed. Hang it up or sit it down, this rechargeable light can move with you indoors and out! These fabulous garden umbrellas are easy to expand with a clever pulling system. The luxurious fabric will protect you from the strongest sunbeams and look amazing in the garden or on your terrace. 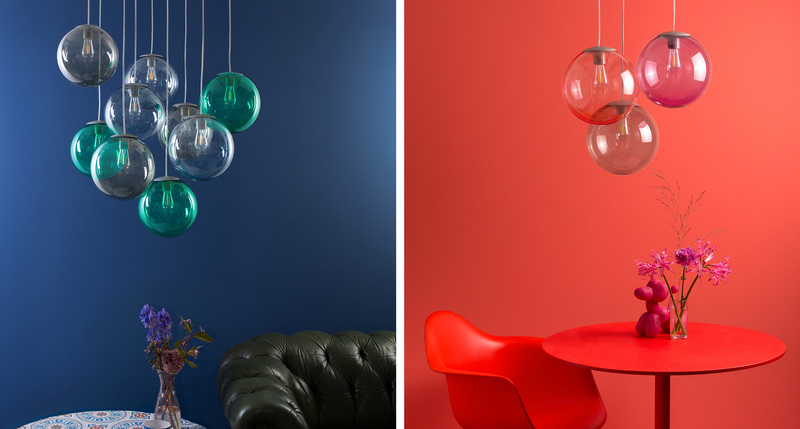 Stylishly design, simply formed, ceiling pendant lights that are perfect for any interior. From small to large find something just right for your space. RECEIVE SPECIAL OFFERS & LATEST PRODUCT NEWS!